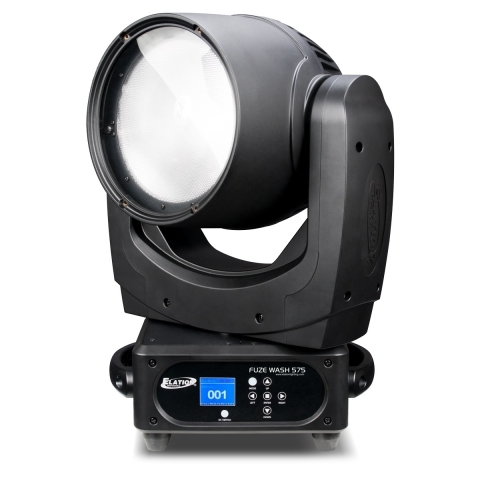 The new Elation Fuze Wash 575 is a LED PAR moving light with motorized beam control, is Ideal for large-scale exhibits and showrooms. The Fuze Wash 575 excels at maintaining an even distribution and an even color temperature across a surface, a smooth, soft wash and consistent light quality that looks great on camera and in person. Not having to focus conventional Pars also saves time and money. Currently only located at 4Wall LA & 4Wall New York.